banana | What's on my plate today!! Crunchy Fruit & Toast Custard Delight!! Today’s special dish is Yummy, Crunchy, Delicious and Healthy which is dedicated to all my FRIENDS who have liked my blog and motivated me to continue blogging for The TASTE of India…Cheers! 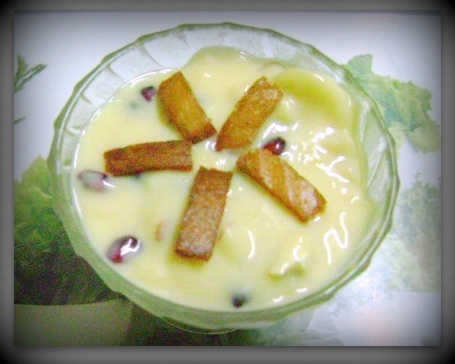 Here goes the recipe for Crunchy Fruit & Toast Custard Delight! !